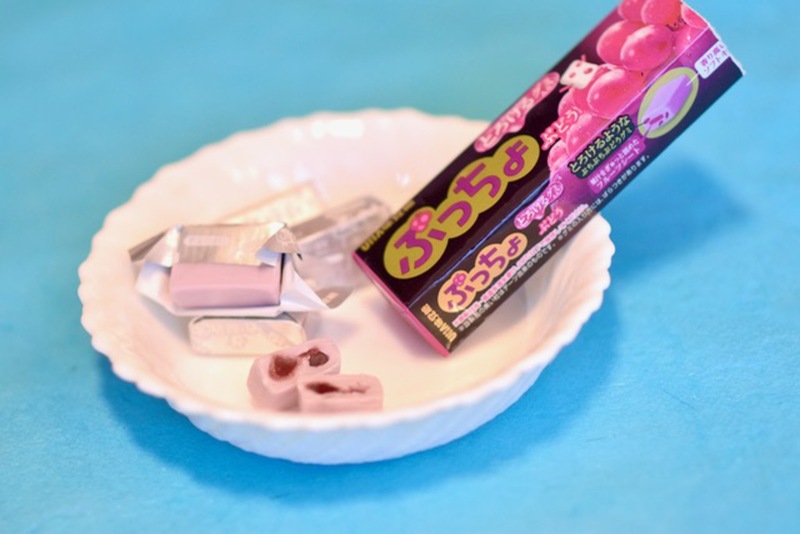 Stick of grape-flavored chewy soft candies containing little bits of melty gummies inside, from Mikakuto Co.,Ltd., the Osaka-based third-largest candy maker in Japan. 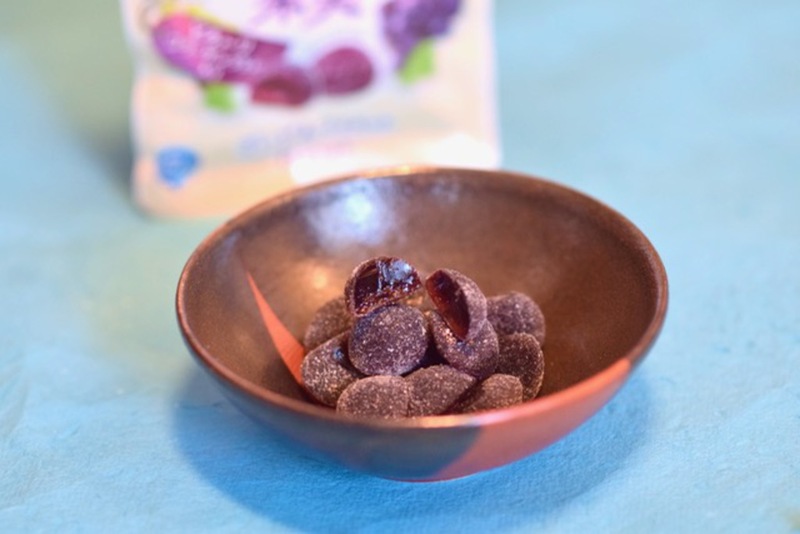 Gummies made with a mix of white and muscat grape juice. The powder on the gummies contains vitamin C, and a bag of the gummies also has 3300mg of collagen peptide, which some believe (I'm not a doctor) to be healthy for your skin and joints. 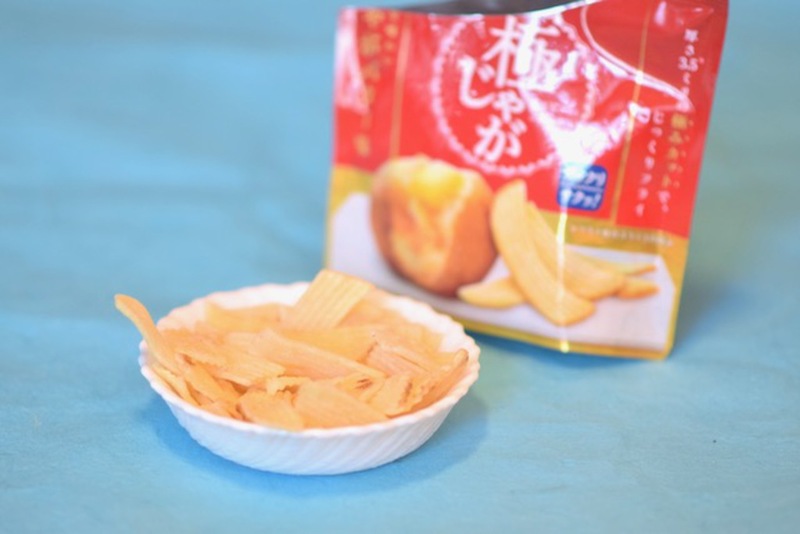 We sent another flavor of this 3.5mm "extreme cut" brand of Hokkaido potato chips out a month ago. Last time the flavor was baked salt, this time it's butter. These chips have a unique thick crunch. 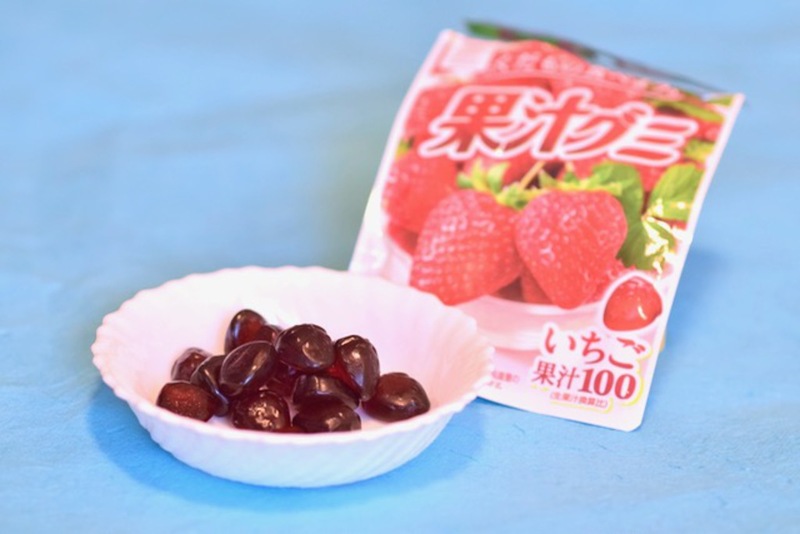 The maker Meiji says they aim to get you to eat all of these quickly one after another, thanks to their balance between being sweet and sour, and an extra-fruity flavor.